Pressure washing is a great way to remove all the grime and dirt that get accumulated in the hard-to-reach areas of your house. In the San Francisco Bay Area, the exterior areas of homes are constantly exposed to pollution, dirt and weather elements like sun, rain and even fog. As a result, stains and moss build up on the house, and over time, your exterior looks dirty, dull and grimy. But, don’t worry! You have a powerful weapon to counter these threats – and that’s pressure washing (also known as power washing.) A good pressure washing infuses a new breath of life to your home’s exteriors, making it look as good as new. Always remember to clean your windows or have them professionally cleaned right after your home has been pressure washed. Windows themselves should never be pressure washed but cleaned with squeegees. 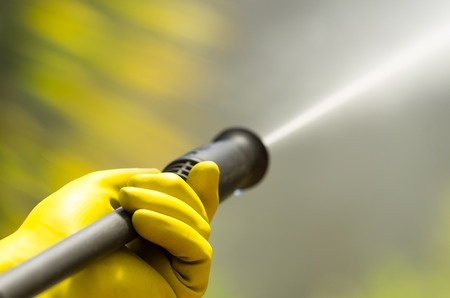 If you’ve never pressure washed before, the first question that’ll pop up in your mind is – when should you pressure wash your Berkeley or Bay Area home? Here are some situations and events that may warrant a thorough wash.
You may need to pressure wash your home at least once a year, depending on where you live. 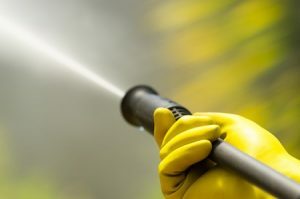 If you live close to a highway or heavily trafficked area in Oakland, Walnut Creek or San Rafael, for example, more dust and pollution will accumulate on your exteriors, and this means you’ll have to pressure wash more frequently. On the other hand, if you live in the Berkeley Hills or quieter areas of Mill Valley, then you might expect to need a wash every few years. If you’re planning to rent or sell your house anytime soon, a pressure wash is a must. Nobody wants to live in a dirty looking house, and this can greatly reduce your chances of selling or renting. On the other hand, when you have a clean looking house that looks fresh and new, people would be willing to move into it right away, not to mention the increased value you’ll get with a higher price tag. If you plan to host any important event at home, or if you’re expecting guests over for the holiday season, a pressure wash can greatly help to create a positive impression about you and your home. In fact, clean exteriors can add that little bit of shine to your festive mood. Cleaning the exterior of your home thoroughly is an absolute must before applying new paint. Dirt, dust, bird droppings and mildew can all build up on your house, making a mess of any painting projects. Start with a fresh, clean, smooth canvas by pressure washing the house before painting. Make sure to leave several days in between the washing and the painting for the house to dry properly. During the rainy season in the San Francisco Bay Area pressure washing can help keep your family healthy and your home protected from the harmful effects of mildews, molds and moss. Molds of any kind are harmful for your respiratory system and should be cleared from every part of your house, including the exteriors. Additionally, moss and mildew can do significant damage over time to paint, siding and roofs. In short, doing a pressure wash once every year or two is important for the health of your home and family. It’s also a key step before selling or renting, hosting special events or giving your house a paint makeover. If you are looking to have your house pressure washed, A-1 The Clear Choice can help you. We are a San Francisco Bay Area based company that specializes in pressure washing and other cleaning services for your home or business. We serve residents located in Alameda, Marin and Contra Costa. See what our customers are saying on Yelp and Angie’s List. Give us a call today at 510-914-5214 and request a free estimate!